Earl's finest and lightest hose combines a woven Kevlar® braid or high tensile grade 304 stainless Braid with internal smooth bore PTFE tubing for increased flow with a convoluted exterior for incredible flexibility. It also has significantly higher flow and pressure ratings than conventional convoluted PTFE hose. 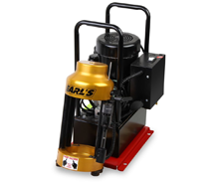 Earl's finest and lightest hose! 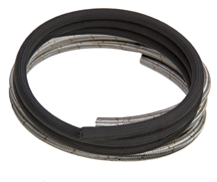 KEVLAR BRAID (650 Hose) is 60% LIGHTER than our stainless braid-protected rubber hose! STAINLESS BRAID (660 Hose) is 40% LIGHTER than our stainless braid-protected rubber hose! PTFE is inert so Ultra Flex hose has a large range of applications, Fuel including exotics and E-based, Oil, Water and Air as well as a very high vacuum rating - 29Hg. 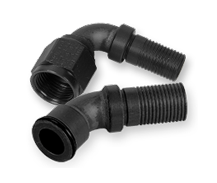 Ultra-Flex 650™ & 660™ hose is intended for use with Ultra-Flex hose ends only. No other Earl’s hose ends are intended for use with this hose. The use of other manufacturers hose ends is not recommended and may compromise the pressure capabilities and durability of the hose.